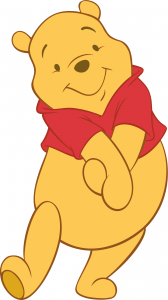 A.A. Milne, the creator of Winnie the Pooh, was born this day in 1882. Although he wrote a number of other novels and non-fiction, it is his stories about that little bear that have been a lasting legacy. A book, whether it is fiction or non-fiction, is a wonderful legacy and is one that so many people dream of having. It doesn’t have to sell loads of copies or make you thousands of £s (although that would be rather nice! ), it is knowing that your words are going to be around forever somewhere. And as A.A. Milne said ‘No sensible author wants anything but praise’. But if you still feel that you need help to get you started on your book then I would love to be able to help you create your legacy, particularly if you are a business person who wants to grow your business in 2019. Writing a book should be an inspiring and fun task not something to be feared or stressed about. And that is exactly what will happen when you put on your author boots and make a start on your very own adventure into the world of words and books. 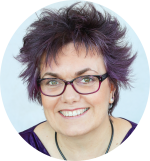 If you would like to find out more about how I can help you with your book then check out details of my next book coaching and publishing programme . It begins on 19th February which incidentally is the day Helen Fielding, author of Bridget Jones’s Diary, was born! Are you prepared if your laptop dies? Can I get rid of adverts on my WordPress.com website?